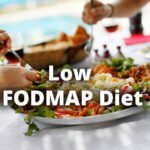 Do you feel bad after most of your meals, especially after eating meals with onions, lots of fruits, or sweet ingredients? Do you suffer from flatulence, abdominal pain, and diarrhea after these meals? Do you even have tested yourself for intolerances like gluten or lactose and nothing applied? Did your doctor attest you an irritable bowel syndrome and gave you some pills… but his pills only helped as long as you took them? Do you possibly feel depressed on top or suffer from eczemas? Then you may have fructose malabsorption. But, don’t worry! You will receive all the knowledge, tips, and resources I gathered throughout my own journey as fructose malabsorber. Feel free to check out all the pages and, especially, grab my Ultimate Fructose Malabsorption Food Guide, I have researched and compiled for you. If you are looking for a quick fix, check out how xylose isomerase can help you – at least temporarily, so that you may enjoy every food whenever you like. And for basic details about fructose malabsorption head over to the Facts page first. Join our group, leave some comments under the pages and posts, and exchange information we all can benefit from. If you have some news, tools, or maybe recipes you want to share with everyone you can also contact me.